Cloud has been a hot topic now, do you ever consider to move your SAP BI to Cloud? Maybe you still have some concerns. It’s OK, you can now try it before you actually move to Cloud. In this blog, I will show you how to deploy SAP BI to Cloud in SAP Cloud Appliance Library. We have released a BI4.2 Trial version in SAP Cloud Appliance Library(https://cal.sap.com) and you can try it for free for 30 days. SAP Cloud Appliance Library is a comprehensive solution for managing SAP systems and applications in cloud providers. It provides you with new ways of streamlining and improving processes in your line of business while decreasing the total cost of ownership for SAP solutions. To deploy BI solution to cloud, you just need a few clicks. 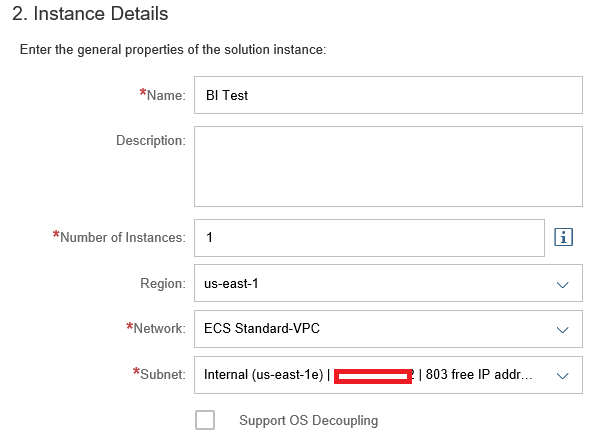 Click to create an instance on your target BI version. Choose an existing account or create a new account, then click the Advanced button from bottom right corner. SAP Cloud Appliance Library(CAL) now support Amazon Web Services™ (AWS) and Microsoft Azure. You need to configure your AWS or Azure account in SAP CAL. Then your VM could run under your account in target Cloud provider and you can also utilize the Cloud provider specific features, eg: you can utilize Amazon Virtual Private Cloud which could enables your BI solution to connect to your existing data sources just like you run SAP BI in your corporate network. Provide some detail information. Here you can choose your preferred Data Center in Region section. In Step3, customize your target VM hardware. When you deploy the Trial version of SAP BI we will provide a 30 days free license so you can try our product for free. However you still needs to pay for the infrastructure costs of the cloud provider. 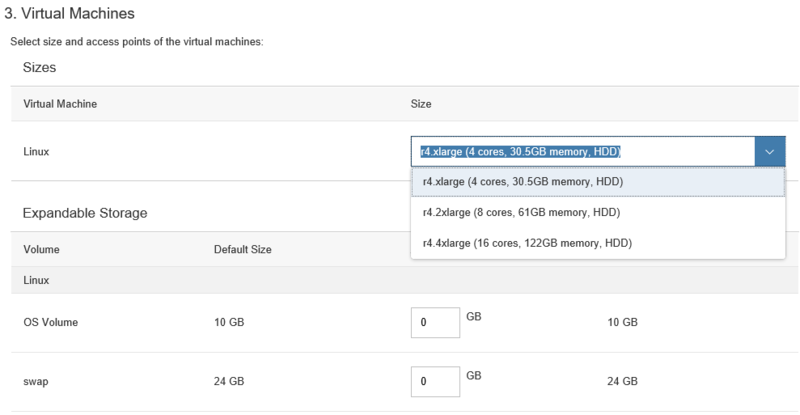 The cost is always based on your VM hardware size and you can forecast the cost. Now the instance is created. You just need to wait around 20 mins then you can access your BI solution on Cloud. The default BI login credential is: administrator/Appl1ance. Please enjoy your SAP BI solution in Cloud. Cool! thanks for publishing. Do you know when SP04 will be made available in CAL ? I just checked with CAL team, there is no plan for SP04 version for now. Is there a Data Services companion for this in the cloud appliance library?